Comment: Has a normal amount of wear in good condition. 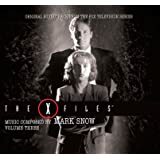 Stream The Truth And The Light: Music From The X-Files by Mark Snow and tens of millions of other songs on all your devices with Amazon Music Unlimited. Exclusive discount for Prime members. 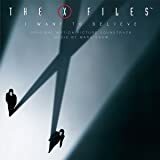 As an avid fan of the X Files, I figured I really needed to own this cd. I'm glad I bought it, but I have a few issues with it. For one thing, I'm not sure about the continuity. In most cases it plays from track to track with no pauses, so it seems to flow together. However, the dialogue over the tracks doesn't seem to have any logical order to it in my opinion. It all seems a bit random. There are pieces of Duane Barry talking, pieces of Scully referring to her abduction - which do fit together, but not quite in the way I would have liked to hear. I also just wanted MORE of something the whole time I listened...I'm not sure of what, but something was lacking. I am going to buy the movie soundtrack and see if that has more of what I was looking for. For the most part I was very happy with the cd. I enjoy the dialogue over the music, since it is inseparable from the show itself and I would never want it to be separated. For all you classical musicians out there, I heard very heavy influences from Joseph Schwantner, which I had never really noticed just from watching the show - that was interesting. 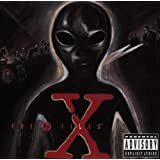 All in all, I recommend this cd to anyone who is a serious X Phile. It's kind of neat to hear the music without the images on the screen. It's a great add to a varied collector. ATTENTION ALL X-PHILES! THIS IS THE CD FOR YOU. 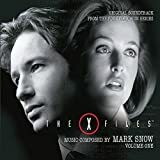 THE HAUNTING MELODIES THAT DOCUMENT EACH EPISODE ARE INTERSPERSED HERE WITH CHARACTER DIALOGUE, MAKING THIS ONE TERRIFIC DISC. 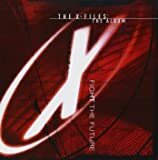 THIS CD FAR OUTDISTANCES "SONGS IN THE KEY OF X" - WHICH WHILE IT CONTAINS GOOD SONGS,HAS NOTHING TO DO WITH THE SHOW. ON THE OTHER HAND " THE TRUTH AND THE LIGHT" IS EVERYTHING THE SHOW IS. MYSTERIOUS, HAUNTING, DEEP, TOUCHING, AND AT TIMES,A LITTLE, WELL -SPOOKY. IF YOU DON'T ALREADY HAVE IT, DON'T WAIT. POP THIS BABY INTO THE STEREO, SIT BACK AND ENJOY. TRUST ME. 5.0 out of 5 starsWow! Much better than the movie score! 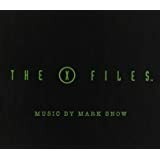 From the hit tv series come the recognized themes from the inspiration of Mark Snow.I confessed that I like the terror storys and the X Files have the better examples of all.From the classic intro until the horror music of the each episode all be here.The truth is inside this disc. Love this soundtrack and the bits of show monologue included. 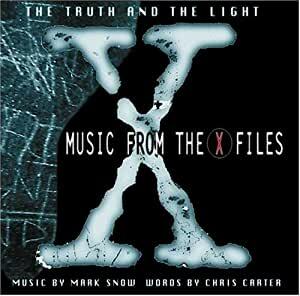 The music is hauntingly beautiful just like the X-files - a must for fans!